Motorists should be given a compulsory eye test every decade to ensure they are fit to be on the road, experts say. Almost half of optometrists in the UK have seen a patient in the last month who continued to drive despite being told their vision is below the legal standard, a report by the Association of Optometrists (AOP) has revealed. The findings come as pressure mounts on the government to change the law on vision requirements for motorists, following a series of high-profile road collision cases in which poor eyesight was a contributing factor, as almost 3000 injuries on UK roads each year are estimated to be caused by drivers with poor vision. Under existing UK law, drivers must undergo an initial number plate test when taking a driving test, then complete a self-declaration for renewing their licence thereafter. This means a 17-year-old who can read a number plate from 20 metres away when they take their test, may continue to drive with no further checks for the rest of their life. 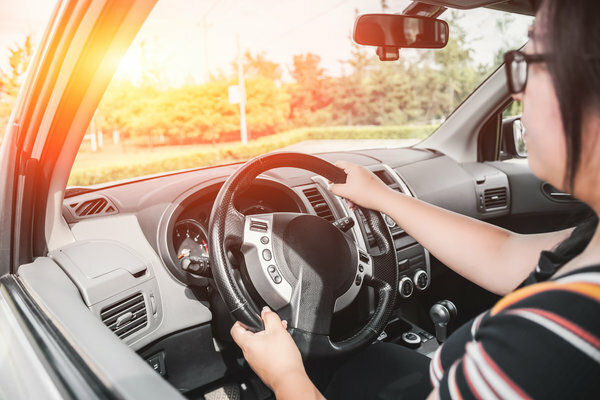 The AOP says these laws are among the latest in Europe and is calling for a change to the law that would require drivers to have a comprehensive vision check to prove their vision meets the legal standard when they first apply for the licence. The AOP is also calling for drivers to face a mandatory retest, every 10 years, with more frequent checks after the age of 70. "It is shocking that so many drivers are overlooking the importance of good vision. Sight loss can often be gradual, and people may not notice changes that could affect their ability to drive.